A pedestrian has died following a collision in Sussex this morning (Sunday, December 16). Police said the 86-year-old woman was in Brighton Road in Horsham at around 9am when the accident happened. 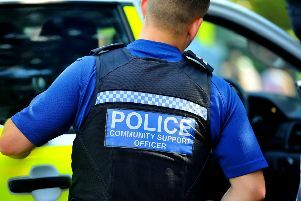 A spokesman for Sussex Police said: “Emergency services received reports of a collision between a Vauxhall Corsa and a pedestrian on the A281 in Brighton Road in Horsham. “Sadly, the 86-year-old local woman died at the scene from her injuries. “The driver of the Corsa, a 57-year-old man, also from Horsham, was uninjured.